Corning is at the southern end of the Finger Lakes region of New York. 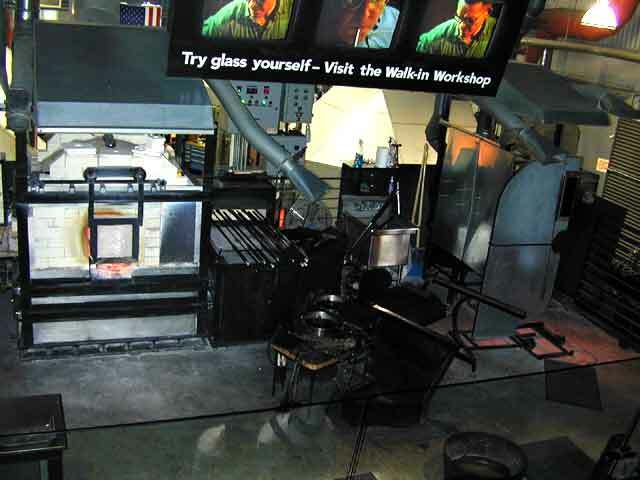 It is home to the Corning Museum of Glass which was started in 1951. 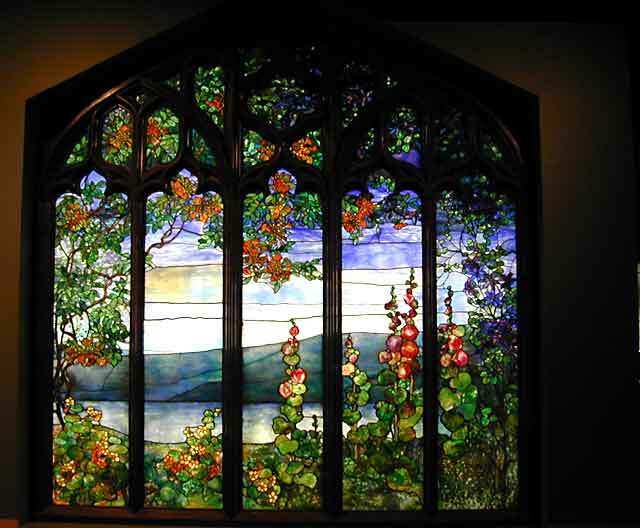 Originally it was housed in the Corning Glass Center. In 1972, Hurricane Agnes flooded Corning and left the museum under five feet of water. It took until 1980 to clean up everything, build a new building and reopen. This is a wall sized "Tiffany" that is only one of many similar works. The various types of glass artwork displayed range from pre-Egypt to modern day works. This, and the exhibit on how glass is made, were Ted's favorites. It was very interesting to see how the glass blowers were able to manipulate the hot glass into the various shapes that you see and always wonder "how they do that?". 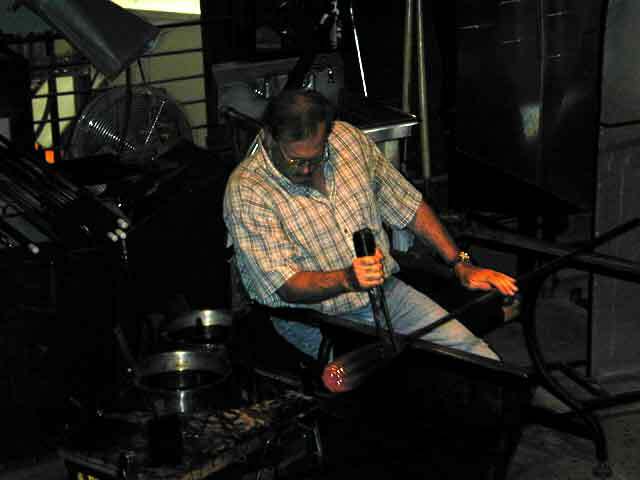 They even have a place where you can try your hand at working the hot glass, but with all the other exhibits, we didn't have time to participate.